Your home is probably one of the biggest financial investments in your lifetime. Your home is a refuge from the outside world and symbol of personal pride. We fully understand those emotions, and can help you achieve beautiful and healthy lawn and gardens. Our maintenance services include the following items…. Lawn mowing, trimming, edging, fertilizing and weed control. Our services can be purchased as season long contracts on a weekly or monthly schedule. Or as occasional projects, as needed…. 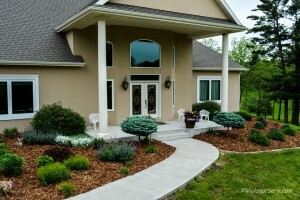 such as spring cleaning, weeding overgrown beds, replacing or moving plants in gardens or landscape, and fall clean up.